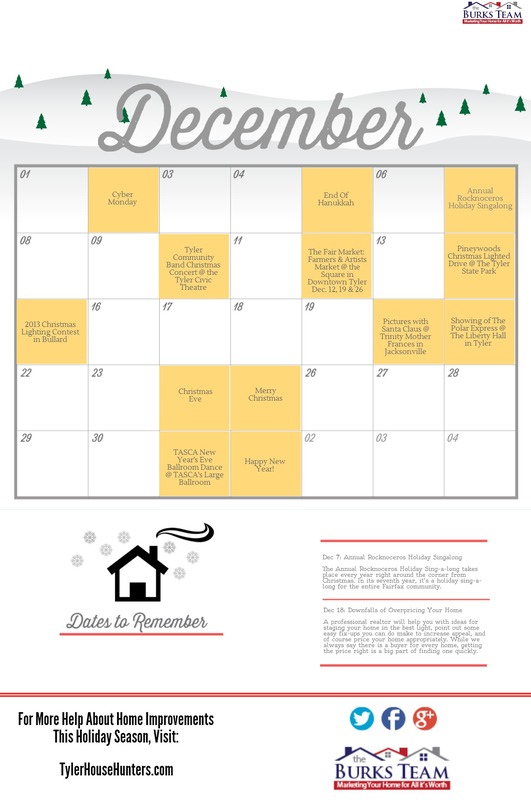 This month is filled with events throughout Tyler and the surrounding areas. Check out our picks for December’s best holiday events along with upcoming posts on the blog. Enjoy! Please include attribution to www.tylerhousehunters.com with this graphic.